The topic of the death in 1959 of a group of hikers under the leadership of Dyatlov aroused considerable interest (see “The World of Criminology” №1 / 2017). In continuation of the topic - an article by Sergey Yakovlevich Shkryabach, who in 2015 on behalf of the leadership of the Investigative Committee of the Russian Federation, studied the materials of the discontinued criminal case about the death of a group of hikers under the leadership of Dyatlov in order to verify the completeness and objectivity of the investigation, the validity of the decisions made on it. We present excerpts from the conclusion of S.Y. Shkryabach, made after the investigation of the criminal case. They are also interesting because the author has extensive experience in mountain tourism, being a member of more than 25 ascents and 20 expeditions in the Pamir, Tien Shan, Caucasus, Altai, Eastern Sayan mountains, as well as in Kamchatka and the Arctic. The present criminal case was instituted on February 26, 1959 by the prosecutor of the town of Ivdel, Sverdlovsk region, V.I. Tempalov on the fact (as stated in the resolution) the discovery on this day in the area of peak 1079 the bodies of Y.G. Krivonischenko, Z.A. Kolmogorova, I.A. Dyatlov and other hikers students of the Sverdlovsk Polytechnic Institute. The investigation found the following. January 23, 1959 a group of 10 hikers under the patronage of the sports hiking club of the Ural Polytechnic Institute led by student I.A. Dyatlov went on a ski trip with a total length of 300 km along the route: city of Sverdlovsk - city of Ivdel - village of Vizhay - village of 2nd Northern - Auspiya river - Mount Otorten - upper sources of Auspiya, Unya, Vishera and Nyols rivers - Mount Oyko-Chakur - Northern Toshemka river - village of Vizhay - city of Ivdel - city of Sverdlovsk. Besides I.A. Dyatlov the group includes: L.A. Dubinina, Z.A. Kolmogorova, A.S. Kolevatov, Y.E. Yudin, Y.N. Doroshenko - students of UPI; A.A. Zolotaryov - instructor Kourovska tour base, as well as R.V. Slobodin, Y.G. Krivonischenko and N.V. Thibeaux-Brignolle - former students of UPI, currently engineers of the enterprises of Sverdlovsk and Chelyabinsk. They traveled to the uninhabited village of the 2nd North by rail, road, and horse-drawn vehicles, and from there, on the morning of January 28, 1959, they began an independent skiing movement. Ill Y.E. Yudin returned to Sverdlovsk. 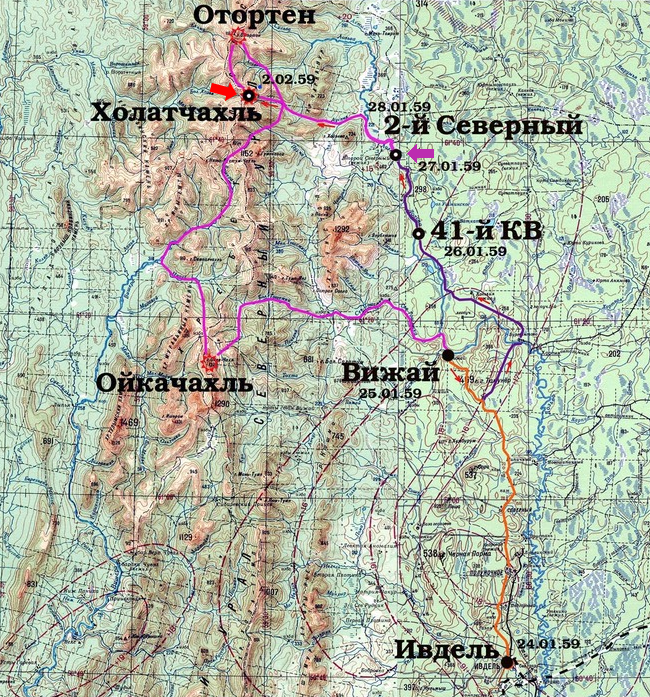 According to the general diary of the group and the personal diary of Kolmogorova, by January 31, 1959, the group, observing the itinerary and traveling over 40 km, approached the branch of the Northern Urals in the upper sources of the Auspiya river and attempted to cross one of the tributaries of the Lozva river between peak 1079 (currently marked as Mount Kholat Syakhl with an altitude of 1096 m) and 880 (currently denoted as height 905 m). 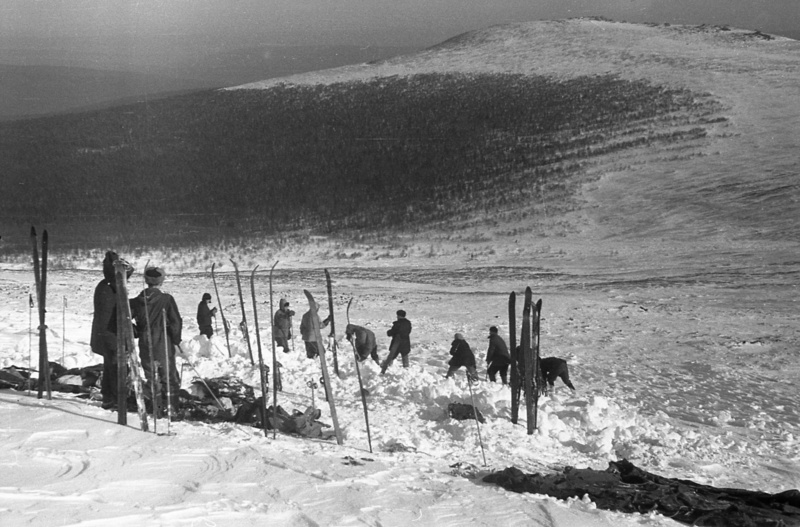 However, when faced with a storm wind and icing of the slope, they returned to spend the night in the forest in the upper reaches of Auspiya river, where they found themselves sheltered from the wind, but in a very deep snow — up to 2 m. After January 31, 1959, there are no entries in diaries. According to the route plan, the group was supposed to pass between the heights of 1079 and 880 into the valley of the Lozva river and, moving north, north-west along the ridge to its source at the base of Mount Otorten, ascend around 2 February 1959. Then go down the same way in the upper reaches of the Auspiya river and through the two passes, as well as the upper reaches of the Unya, Vishera and Nyols rivers, head south to Oyko-Chakur mountain (see pic 1-3). There is no information on the group’s movement after January 31, 1959. The route of the group ran through unpopulated territories and its participants did not have any means of communication (portable transceiver for such distances at that time had considerable weight and was not available for ordinary citizens). search groups of experienced mountaineers, units of the Ministry of Internal Affairs, aircraft and helicopters of civil and military aviation. Since the exact place where hikers could be, was not known, search groups of five people were sent and dropped off by helicopter to the main points of the route. In the area of the Mount Otorten and the upper sources of Lozva and Austiya rivers were sent groups led by master of sports M.A. Akselrod and student B.E. Slobtsov. February 26, 1959 on the eastern slope of Mount 1079 (1096) B.E. Slobtsov and a member of his group M.I. Sharavin found the tent of the Dyatlov group. The tent was completely covered with snow. Outward on a few centimeters acted only the angle of the roof, supported by the remaining front pillar (ski pole). From the words of B.E. Slobtsov and interviews of M.I. Sharavin (he was not interrogated, because during the period of investigation he was on treatment for the injury received during the search) the snow over the tent (after removing the upper thin layer) was so dense that it had to be cut out of the surface in daytime with an ice ax. The skis used to support (hang - ed. note) the tent were dig out only after the tent was excavated. In the tent there was practically all the equipment and personal belongings of the group members: backpacks, blankets (of which two were spread out), warm clothes, storm suits, hats and (with some exceptions) all shoes. The entrance to the tent faced southeast at the remaining pillar was closed and blocked by a disassembled stove, dishes and other things. Shoes and clothing were located near the side of the tent adjacent to the mountain. The slope of the roof located on the opposite side and facing the side of the slope, in the direction of which (as it will be determined later) the hikers lay with their heads, was cut and torn in two places from top to bottom. A fur jacket was tucked in a gap located closer to the entrance of the tent. All pairs of skis were laid out under the tent, except for the one that lay next to it. There were no signs of struggle or the presence of other people, as well as craters from explosions or any other cataclysms, either in or near the tent. The scene of the incident was examined by the prosecutor of the city of Ivdel V.I. Tempalov. with the participation of the head of the search operation V.P. Maslennikov only February 28, 1959, when the tent was dug out and the roof racks were restored using skis. According to this protocol, the tent was located on a 30° slope about 300 m below the top of 1079 (pic 4-6). Down the slope for up to 500 m in the snow, there were traces of feet without shoes and individual traces of felt boots (8–9 pairs) going from the tent towards the forest. Traces are preserved in the form of columns of pillars of snow several centimeters high. Less dense snow blown around them by the storm wind. The traces of tracks were located close to each other, converged and again dispersed close to one another. Closer to the border of the forest, the tracks disappeared under the snow. After discovering the tent, on February 27, 1959 all the search groups were called to the region of 1076 (Kholat Syakhl - 1097 mountain). To the south of this mountain in the upper reaches of Auspiya river, near (as it turned out later) the campsite of Dyatlov group on the night of January 31, 1959, the search parties setup their base camp. The search operation was headed by the master of sports E.P. Maslennikov. On the same day - February 27, 1959 - down the slope in the direction whrere the footprints were headed the partially covered with snow bodies of Doroshenko and Krivonishchenko, lying next to each other, were found, and higher up the slope in the direction of the tent were found the bodies of Dyatlov and Kolmogorova. According to the protocol of the inspection of the scene from the same date, the bodies of Doroshenko and Krivonischenko were stripped down to their underwear and were located 1,500 meters from the top of 1079 near the forest border under a single cedar tree near the remains of a fire. According to the same protocol, 400 m from the fire in the direction of the tent, the body of Dyatlov was found covered with snow, and in the same direction 500 m above Dyatlov's body Kolmogorova’s body was found under the snow. Both bodies were located in a straight line - from the fire to tent. Dyatlov lay on his back near a small birch, head in the direction of the tent. Kolmogorova lay face down in a dynamic posture of movement and "according to the position of the body, tried not to climb the mountain, but to stay in place". The examination was carried out by the prosecutor of the city of Ivdel V.I. Tempalov with the participation of the head of search operation E. P. Maslennikov. Later on, in the decision to terminate the criminal case L.N. Ivanov stated other information and assessments of these circumstances. Including data on the distances of the bodies. In his interpretation, all five bodies were found on February 26, 1959. The distance from the location of the first two bodies is 1500 m to the tent, and not to the top of top 1079, as indicated in the inspection report of February 27, 1959. The distance from these two bodies to Dyatlov's body has changed from 400 to 300 m, and from Dyatlov's body to Kolmogorova's body - from 500 to 330 m.
Further, in the materials of the criminal case, the angle of the slope at the place of detection of the tent decreased, compared to the protocol of the inspection of the scene from February 28, 1959 from 30 to 18–20°, and its location relative to the top 1079 from 300 to 150 m.
Most likely, a lot of this data was taken from the assumptions and estimates of the search eparticipnats, as well as from the reporting commissions of the Sverdlovsk Regional Executive Committee. The distances to the location of the bodies are most likely taken from the testimony of the head of the search operation V.P. Maslennikov on March 10, 1959, and the calculations made by him in the scheme attached to his testimony. Including complete information about the circumstances of the discovery of the body of the fifth hiker - R. V. Slobodin, who was found under a layer of snow (more than 20 cm) as a result of search efforts only on March 5, 1959. There is no protocol of inspection of the place where the body of Slobodin was found. According to the testimony of E. P. Maslennikov the body of Slobodin was headed in the direction of the tent in a straight line, as were the other bodies 180 m above the body of Dyatlov and 150 m below the body of Kolmogorova. During search operations on March 2, 1959, when they were trying to locate where Dyatlov group spent the night of March (January? - ed. note) 31, 1959 in the upper reaches of Auspiya river (100 m from the bank) and 300 m from the search base camp setup on February 27, 1959, search party found the cache site with product (labaz). It is assumed that the storage site was built by Dyatlov group. According to the route plan, Dyatlov intended to return to the same place after the ascent to Otorten to continue the hike to the south. According to the inspection report dated March 2, 1959, in the improvised warehouse built of logs, plywood and fir branches were stored food supplies, one pair of spare skis, two pairs of boots, ski mounts and two batteries with a light bulb. The rescue expedition continued prospecting, including probing the area with avalanche probes (thin metal pins 1.5 m long), however, due to weather deterioration (a sudden increase in frost and stormy winds), and injuries to ice and rocky parts by several participants they were terminated on March 8, 1959. When the searches were resumed on May 4, 1959 the bodies of the remaining four participants in the expedition were found deep under the snow. According to the protocol of inspection of May 6, 1959, conducted by the prosecutor of the city of Ivdel V.I. Tempalov the bodies of L.A. Dubinina, A.S. Kolevatov, A.A. Zolotaryov and N.V. Thibeaux-Brignolle were in a strong putrefaction (“decomposed”) in the water near the bank of one of the tributaries of Lozva river under snow more than 2 m deep and 50 m (in the order to dismiss the case it was written - at a depth of 4–4.5 m and 75 m) from the single cedar - the place where the bodies of Doroshenko and Krivonischenko were found. At 6 m higher under the snow at a depth of more than 3 m, a flooring of cut branches was found. Analysis of photographs from the scene suggests that the bodies and the flooring (pile of branches) were under dense snow at a depth of more than 5 m. Fragments of clothing cut off from the bodies of Doroshenko and Krivonischenko were found on the so-called flooring and near it. The deceased Thibeaux-Brignolle and Zolotaryov were found better dressed than the others. Dubinina was the least clothed of the four - her faux-fur jacket and cap turned out to be on Zolotaryov. Dubinina’s bare foot was wrapped in a piece of Krivonishchenko woolen trousers. hemorrhage in the myocardium. А.А. Zolotaryov has fractures of the right ribs 2, 3, 4, 5, and 6 along the circumferential and midclavicular lines. N.V. Thibeaux-Brignolle has an extensive hemorrhage in the right temporal muscle - correspondingly to it - a depressed fracture of the bones of the skull 3x7 cm in size. I was specified that their injuries in conjunction with the effects of low temperatures led to their death. These injuries are caused by a great force applied on a large area surfaces (there are no localized hemorrhages of the corresponding external surfaces of the body). Also, expert studies have established that the tent roof panel on the right side has three cuts made from the inside. The watches found on Dyatlov, Slobodin and Thibeaux-Brignolle were not investigated for the reason why did they stop (wound down, damage). During the investigation test for radiation were carried out (with an incomprehensible purpose) of garments of the dead. Their results have nothing to do with the causes and circumstances of the death of these individuals. The declassified materials of the Central Committee of the CPSU on the ongoing inquiry about these events were also studied. In them nothing more that it is already in the criminal case was found. 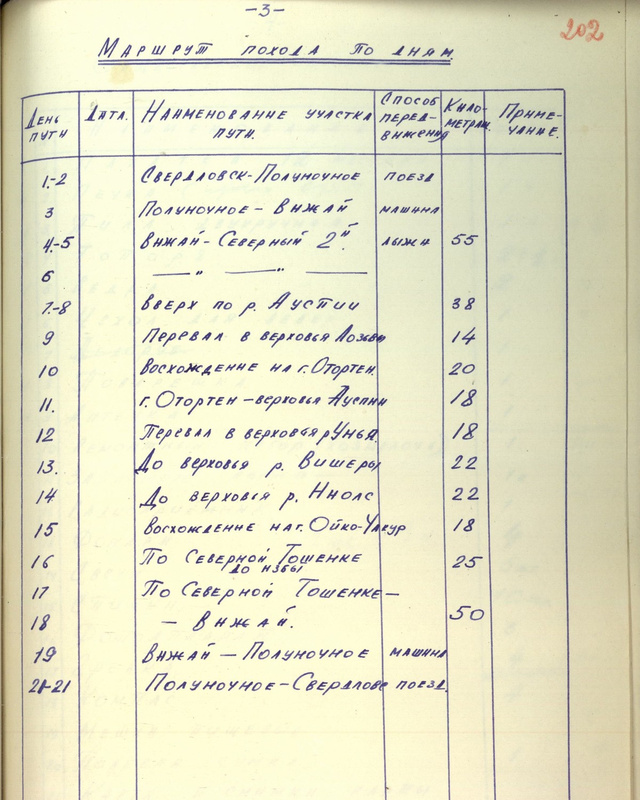 Analysis of the materials of the criminal case, as well as inspections of these events, conducted by various instances, points that there is no objective data on the involvement of any individuals, institutions or organizations in February 1959 in the Ivdel district of the Sverdlovsk region. And if the final conclusion about the absence of corpus delicti (crime) in the actions of the officials involved in organizing this campaign can be conditionally considered correct, then the circumstances determining the presence or absence of a crime have not been fully investigated, which caused and causes doubts about the justification of the termination of the investigation. The statement that "the cause of the death of the hikers was overwhelming force, which they were unable to overcome", requires a clear argumentation with objective evidence the the investigation didn't provide. 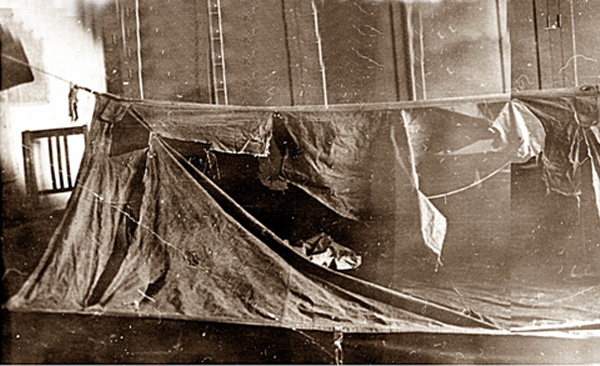 The fact that they, in severe frost, half-clothed, left the tent on their own and six of them froze, and three died, including from serious injuries of internal organs, is no reason to relate everything that happened to the action of overwhelming force without studying and explaining the causes, circumstances and mechanism of these events. This simplified attitude to decision making can only indicate a non-professional approach not only by L.N. Ivanov, but also by other persons who participated in the investigation to collect, research and evaluate objective data. Most likely, they simply did not know how else to investigate these circumstances, so they made a possibly intuitively correct, but unreasonable decision. This rightly caused many people, including professional lawyers, who did not know and understand the mechanisms of extreme situations, distrust of the results of the investigation and the belief that there was some kind of hidden secret information or ufo phenomena. A study of the materials of the criminal case gives reason to believe that in fact in 1959 the investigation was conducted at a low (unfortunately, even at amateurish) level. Landmarks and detailed photographs were not taken during the inspections of the incident sites. Available photos can be called survey only conditionally. Accurate measurements and reference to specific landmarks of detected objects and bodies are not available in the protocols. Plans (schemes) were not drawn up by prosecutors and investigators. It is almost impossible to establish from the investigation materials exactly where the tent and the bodies were found. In particular, the incompleteness of the study of the sequence of events reflected on the objectivity of assessing the cause of death of A.S. Kolevatov, L.A. Dubinina, A.A. Zolotaryov and N.V. Thibeaux-Brignolle. According to the findings of the forensic scientist, the death of L.A. Dubinina and A.A. Zolotaryov came from damage to internal organs as a result of multiple fractures of the ribs, and the death of N.V. Thibeaux-Brignolle - from hemorrhage due to a depressed fracture of the skull. And all this in addition (it is not clear what is the connection) with the exposure to low temperature. The expert made such conclusions only on the grounds that histological studies revealed hemorrhages in the places of fractures. However, given the strong putrefactive changes in the internal organs of corpses, this can only indicate that the fractures were in vivo (pre mosrtem). At the same time, all three corpses were found under a 3–5 meter layer of snow, in conditions and in postures that do not exclude the possibility of injury from compression, and the onset of death - from mechanical asphyxiation and hypothermia (freezing). What can be concluded from the rib fractures on both sides of L.A. Dubinina and the absence in the areas of internal injuries on the external surfaces of all bodies traces of application of instruments with limited surface damage. Since the histology test results were received on the day of the ruling on the termination of the criminal case, the circumstances, the mechanism and the real reasons for the death of S.A. Kolevatov, L.A. Dubinina, A.A. Zolotareva and N.V. Thibeaux-Brignolle were not investigated at all. In fact, the circumstances of the events are not fully understood. No answers were given to questions about the motives for setting up a tent on the mountainside, the reasons for leaving it, the sequence of events that led to the tragedy and death of all hikers. The state and features of the area have not been studied. Information about the weather and seismic activity in the area for the period of the tragic events were not requested. No analysis of the level of extremity of the situation, readiness and psychology of behavior of the group members was conducted with the involvement of high-class specialists. The opinions of individuals were taken as the basis for evaluating these tragic events, the insufficient experience of some of them not only did not meet the necessary requirements for this, but was also based on obvious delusions. This includes the conclusions and doubts of L.N. Ivanov himself, who did not fully appreciate the situation that had developed during the period of the death of the Dyatlov group, which resulted in their misunderstanding of the whole mechanism of the incident. Of course, even now, the investigation of these events has a certain complexity due to the impossibility in 56 years of time to carry out a full collection of the necessary additional information about the circumstances of this tragedy and materials about other events accompanying it. However, in order to make a decision about the need for additional research and measures, a full assessment should be made of all the available objective data, as well as other information that is currently available. theories and opinions of prominent experts in the field of mountaineering and mountain tourism about the mechanism and causes of similar tragedies in high mountain and winter conditions. 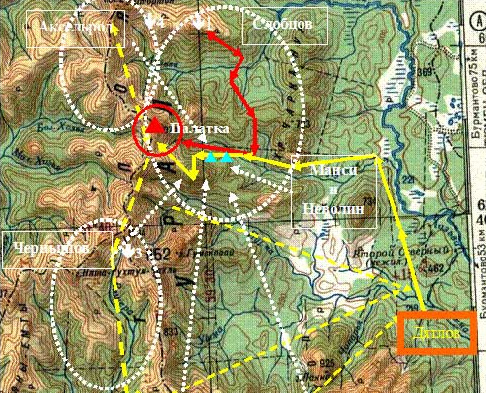 According to the available materials on the preparation of the Dyatlov hikers group and data on the course of the hike itself, one can assess the degree of readiness of its participants for the negative development of an extreme situation. Based on the available information, the level of preparation of the group was considerably overestimated by its assessment by the commission. sparsely populated and difficult areas and was based only on the personal experience of its enthusiasts and local hunters. These trips were divided into: weekend trips, 1st, 2nd and 3rd category of difficulty. The combination of their number determined the assignment of sports categories. The participants of these campaigns did not have serious climbing training. In this region, mountaineering has not been developed, as the Urals, belongs to the old, not high and heavily destroyed mountains and does not have most of the peaks of even the lowest category of mountaineering complexity. They presented a problem to traverse only in winter. Most of the members of the group were participants of 4-6 trips for 3-4 years of study at the institute. By the combination of the number of these trips, some of them could qualify for 2nd category of difficulty in tourism. None of the hikers has ever participated in a winter expedition of 3rd category of complexity. I.A. Dyatlov participated in only one trek of 3rd category (under the leadership of M.A. Akselrod) and is characterized as a strong and ambitious hiker. In fact, he “was in his own element” - of the 9 expedition he was part of he led 6. It seems that I.A. Dyatlov lacked the level of experience that an expedition of this complexity required. The preparation of the members of the group to participate in a difficult winter hike in the mountains was clearly insufficient. The focus was on skiing, general equipment, products. According to the plan of the expedition, they had to go through five passes and climb two peaks, but they did not have any safety equipment (ropes, strapping, carabiners, rappel gear), or any other climbing equipment (ice axes, crampons). In the training materials, only a 20-meter-long prusik is mentioned (a thin auxiliary rope not suitable for securing), which was not found during inspections. There was only one ice ax found at the tent and, according to the photos, belonged to A.A. Zolotaryov. Meanwhile, in the winter, the Northern Urals are characterized by strong (to –50 °) frosts and storm winds. Therefore, almost all passes and peaks have extensive ice and icy slopes of compacted snow (firn), which is very difficult to traverse without special skills and equipment. 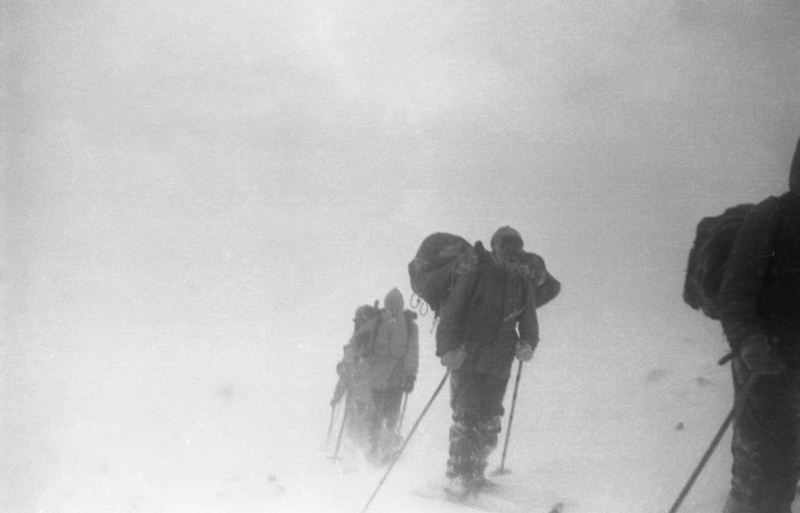 On the negative results of this training, an entry in the group’s diary dated January 31, 1959 says that when they first tried to overcome an uncomplicated pass near 880, they did not have the necessary equipment and experience, having encountered an icy slope in strong wind and descended to the low of the river Auspiya. It is difficult to imagine how they intended to overcome the five passes and climb two peaks in the days to come. In addition, as follows from the materials of the criminal case, the group actually did not have a full-fledged map of the area (topographic maps of the General Staff were classified at that time), copies of forestry drawing topographic objects. Given that their route was the first ascent, the group went almost at random. It seems that the route of such a duartion (21 days), length (about 300 km) and complexity this group could overcome without incident only with sufficiently favorable weather conditions and luck. The main route ran two to four days from the nearest settlement. In the event of injury or illness of any member of the expedition, it would take even more time to transport him. It was not known whether emergency situations were worked out in the group, although the materials of the route commission allegedly contain information on the options for changing the group's route when weather conditions deteriorate. In the materials of the criminal case, as in the materials of the group’s preparation, there is no data on attempts to get at least some information about the long-term forecast of meteorological conditions in the region. Thus, although the decision to admit the group to the hike, taking into account the formal "experience" of its participants, was considered justified, the hike itself, given their actual readiness and lack of communication, was a dangerous and rather adventurous event. Any significant error under extreme conditions and the lack of necessary knowledge of how to act when they occur inevitably lead to tragic consequences in such expeditions, and this is what happened. When evaluating materials about the organization, the course and results of search activities, it is necessary to state the following. There was no system in organizing such search operation in the region. There wasn't (even formally) any dedicated voluntary search and rescue squad from among the most experienced hiker and climbers. As a result, the search work actually began 22 days after the tragedy by hastily created search groups from among hikers, most of whom had experience not higher, but even lower than those missing. Only one group was led by an experienced hiker M. A. Akselrod (who later gave the most realistic assessment of what happened). Only by February 26, 1959, the master of sports E.P. Maslennikov headed the search expedition on his own initiative. Later, from Moscow arrived a group of hikers headed by a member of the routing and qualification commission of the Presidium of the All-Union Tourism Section, master of sports K.I. Bardin. In fact, all assessments on the detection of physical evidence and bodies in criminal case were based, as already noted above, on provisional data set forth by the said commission, and not on the results of investigative actions. was examined by the prosecutor of Ivdel only on February 28, 1959, after significant changes in the situation. The body of R.V. Slobodin (found on March 5, 1959) and the place of its discovery were not examined at all. The bodies of L.A. Dubinina, A.S. Kolevatov, A.A. Zolotaryov and N.V. Thibeaux-Brignolle were found on May 4, 1959 and examined on the spot on May 6, 1959. At the same time the items found with the bodies are not mentioned in the protocol at all. As already noted, the measurement data on the location of the tent and the bodies indicated in the inspection reports do not correspond to the data set out in the materials of the aforementioned commission and in the decision to terminate the criminal case. There is no information about attempts to analyze weather conditions for the estimated period of death of the group and their changes until the moment of the search works in the criminal case or in the materials of the commission. 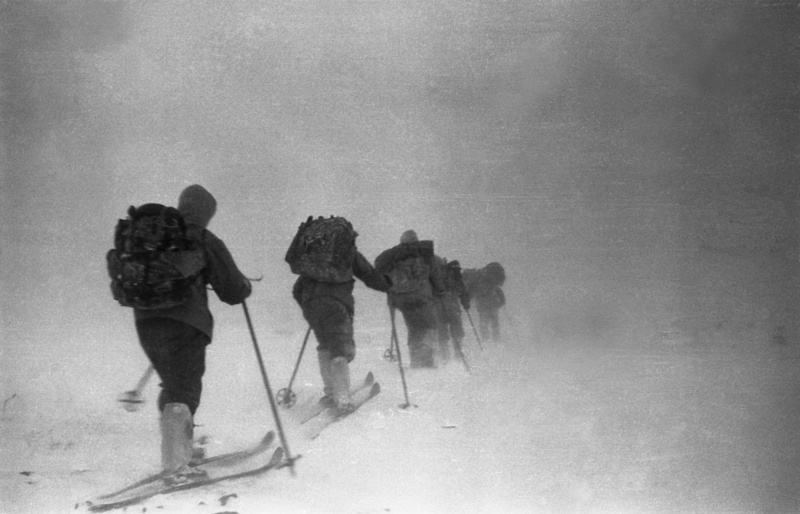 Meanwhile, the commission’s conclusion shows that if at the beginning of the search expedition the weather conditions were acceptable, by the end of February - the beginning of March the weather deteriorated sharply, the frost increased, and the blizzards and hurricane winds began, despite the fact that the bodies of four hikers were still missing, and served as the basis for the termination of the search on March 8, 1959. There is no data on studies of the snow-ice cover in the area of the tragedy to determine the characteristics of its layers, stages and conditions for their formation. With this in mind, no attempts were made to invite relevant specialists (meteorologists, seismologists, glaciologists, psychologists, climbers, etc.) to conduct case studies on the mechanism and sequence of the situation and the actions of the group members with the collection, analysis and evaluation of objective data. 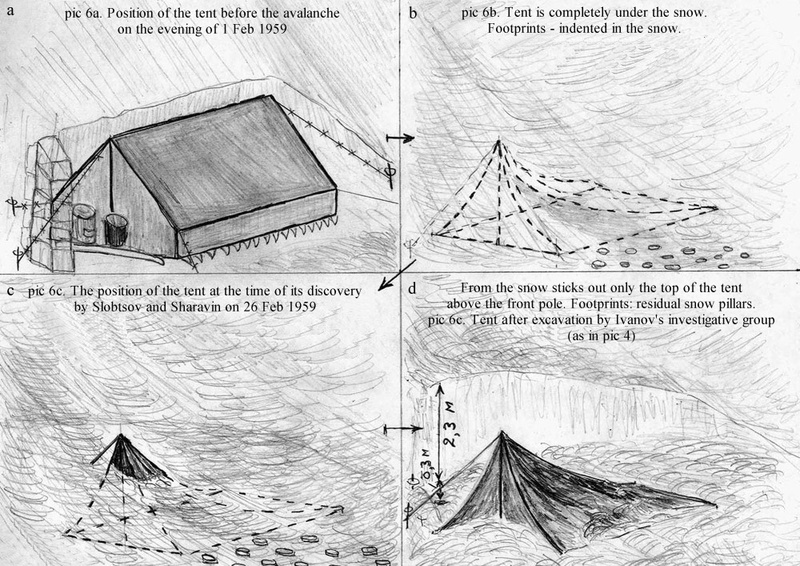 The investigation did not even make an attempt to independently model the event mechanism, compare and analyze the position and condition of the tent at the time of its detection (and not at the time of inspection), traces around it to determine how could they leave, the sequence and direction of movement of the group, taking into account the characteristics of the terrain and wind. Instead was taken into account the opinion of the often unseasoned hikers about the safety of the camp setup in such conditions and the allegedly sufficient experience among the hikers. As a result of the amateurish assessment of this situation, the true causes and conditions for the emergency evacuation from the tent were not established, and a whole “bunch” of shady (not mentioned in the criminal case) versions of the existence of some unknown forces and secret events made the victims flee the tent in a panic, condemning themselves to death in conditions of snowstorms, hurricane winds and 40 degrees of cold. This led to the appearance of information in the case of fireballs, radiological studies of the clothing of victims, etc., which, of course, did not provide anything for the investigation. Only later, certain time after the end of the investigation, did the real version of the sudden avalanche emerge, which was supported by M.A. Akselrod and B.E. Slobtsov (pic 7-8). 1. Most of the participants in the rescue operation and representatives of the prosecutor's office observed the scene in good weather 26 days after a significant change in snow cover. This is evidenced by the detection of the distinctly protruding 5–8 cm traces of footprints of the members of the group down the slope from the tent. Such traces of compaction can be formed by a person’s feet when moving in snow no less than 40 cm high and became embossed after blown by the wind (not below the storm level) around a less dense layer of snow for the same 40 cm. This means that in the area of ​​the tent at the time of its leaving, the height of the snow was not less than 40 cm higher than when it was detected. From the testimony of B.E. Slobtsov and from the words of a member of his search group M. I. Sharavin (not interrogated) it follows that on February 26, 1959, they found the front pole of the tent sticking out a few centimeters from under heavy snow, which they subsequently excavated. This means that at the time when the members of the group left the tent there was at least 40 cm more of snow. The supporters of the “exotic” versions claiming that the tent was allegedly covered with snow only after the hikers left it are not consistent, as then the group’s traces down the slope would have been completely covered by snow and wouldn't be visible at all. Most of the fantastic versions were put forward on the basis of the general delusion that hikers left the tent not covered with snow, in a hurry cut out passages in its canopy to lower the slope, as the entrance to it was already blocked, and allegedly jumped out in such a way during normal visibility from a free-standing tent from some kind of inexplicable horror. 2. There is even among fairly experienced high mountain climbers, not to mention hikers, a massive misconception about the conditions and mechanism of avalanche and the consequences of such disasters. The statistical data cited several years ago when the Mountaineers Club of St. Petersburg conducted the causes and conditions for the death of the Dyatlov group indicate that over 80% of the hikers (among all the dead) perish in avalanches. Among climbers of even a very high class, a significant number die of avalanches as a result of a wrong choice of a place to sleep (bivouac installation) and errors when crossing avalanche prone slopes. particular the Himalayas, the Pamirs, Tien Shan, the Andes, the Cordillera, the Caucasus, the Alps. wrong presumption that a large angle of inclination of the surface (at least 45–50°) on which the snow mass is located is necessary for an avalanche to descend, when in fact slopes above 50° avalanche are rare and avalanche is possible on an entirely non-steep slope. From the materials of a series of methodological manuals "School of Mountaineering" (M. 2003–2010), edited by Honored Master of Sports in Mountaineering, Honored Coach of the USSR P.P. Zaharov we can understand the following. Avalanche is the result of gravity. If you select a certain form of an element (for example, a cube) of snow thickness lying on a slope, then, considering its equilibrium under the laws of mechanics, you can establish the following: the component of gravity, directed parallel to the slope, tends to move the cube down. This force increases whit the mass of snow and its density. But there are forces that counteract this component: mechanical adhesion with the underlying layer of snow, soil, natural friction force, supporting force of snow lying down the slope and holding force of adhesion with overlying snow. The last forces are called contour. Proceeding from this, as well as from the diversity of the mechanical properties of snow and its low stability, one can speak of the diversity of the "trigger mechanism" of avalanches in various conditions. Depending on the conditions, the avalanche speed can reach 500 km/h. The movement of snow at a speed of less than 1 m/s is estimated as a slab - a snow slab. But avalanches moving at low speeds are deadly. Even falling into a small avalanche of several cubic meters could be fatal. There are enough examples when a layer of snow about 20 cm thick (!) Measuring 3x3 m killed people. A very small collapse (only 5 m3 of snow with a density of 0.2 t/m3) at a speed of 10 m/s will be equivalent to hitting a car at a speed of 30 km/h. Even the simplest of avalanches - a landslide measuring 25 by 30 m with a thickness of 20 cm is equal in volume to 100 m3 and weighs 20–30 tons! According to studies, there is a widespread misconception that an avalanche requires a steep slope - more than 45°. In fact, snow is poured from steep slopes in the presence of scanty volumes, and on slopes above 55° it does not linger at all. Therefore, in the northern regions, including in Russia, roofs of houses, as a rule, are built at an angle of at least 45°, and in mountainous countries - 60° or more. 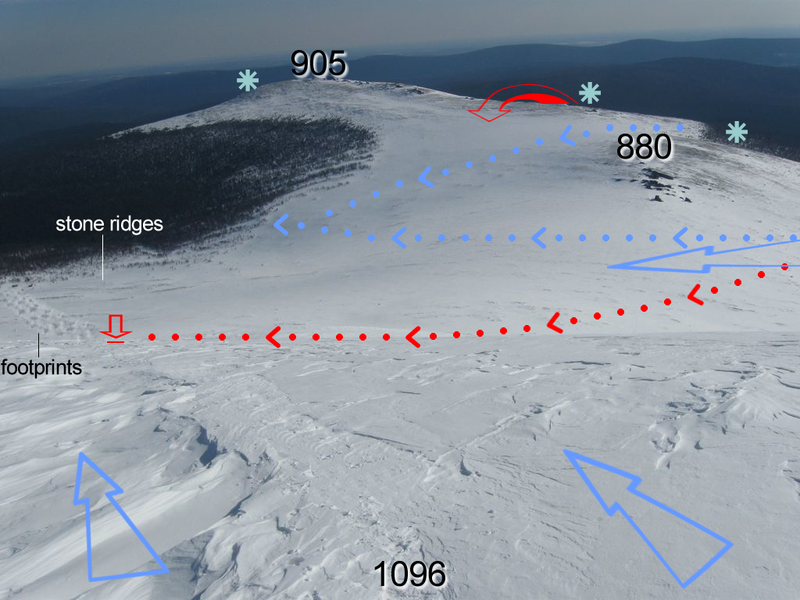 The most optimal slopes for avalanches are 25–40°, and under certain circumstances, 15–20°. Famous Russian (Soviet) avalanche specialist, Professor of the Department of Cryolitology and Glaciology, Faculty of Geography, MSU G. K. Tushinskiy systematically researched and classified avalanches according to the composition of the snow that forms them, the conditions and the “trigger mechanisms” of their descent, and the consequences that threaten a person if they hit them. The main reasons for avalanches are that the critical mass of the snow volume exceeds the limiting possibility of its retention on the slope, i.e. the force of gravity, which tends to move it along a slope, exceeds the limit of the possibility of the contour forces to hold it. But there are various factors that drastically change the balance of forces, provoking an avalanche coming down before it is fully "mature". Such external influences, in addition to dynamic impacts in the form of eaves collapse, falling stones, earthquakes, and lightning discharges, include: cutting an avalanche-prone slope by climbers or skiers, as well as dramatically increasing or changing winds. In mountaineering, there is a rule: not to go out in the highlands after a sharp deterioration in the weather with more than 30-40 cm of snow falling before its natural compaction, since this is a period of high avalanche danger. This is due to the fact that in clear weather and constant winds on the slopes an icy (firn) layer, a kind of “ice slides”, is formed. After a significant amount of snow falls on this “skating rink", the avalanche in many cases, before compaction and joining of the snow cap to the previous layer, is inevitable. It is easy to provoke it, moving along the avalanche-dangerous elephant, couloir. low air temperatures cool the surface, and the metamorphic processes inside the snow layer lead to the emergence of loosening horizons, causing the avalanche to disappear. Avalanches are not uniform. There is a natural compaction of snow under its weight. Depending on the mass and humidity of snow, the lower layers of the avalanche mass can have very high density and hardness and multiply its destructive power. A special danger of falling into an avalanche lies in the fact that, as a rule, the movement of significant layers of snow begins both above and below the cut-off area and in most cases with a very fast onset of speed, which often makes it impossible to avoid it in time. 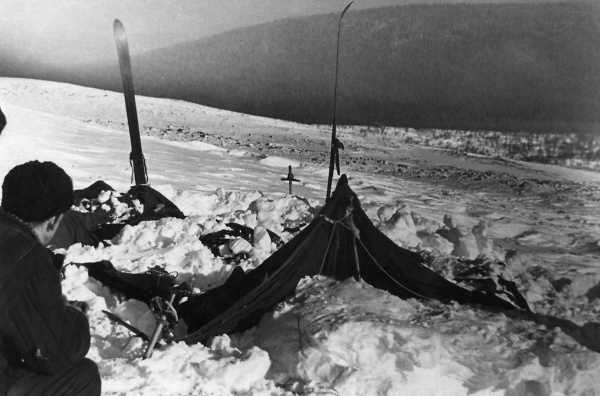 Thus, the foregoing suggests that an avalanche (most likely, in the form of a slab) could really be the cause of an emergency abandonment of the tent by Dyatlov group. The terms of this in accordance with the above research factors given by G. K. Tushinskiy could be: a significant increase in the mass of snow on the mountainside, strong wind and frost, as well as cutting the avalanche slope by hikers themselves by crossing it and setting up a tent with digging up a large area of ​​snow that prevented the layer of snow from above to slide downwards. As noted above, the weather conditions in the area during the tragedy were not analyzed by anyone, and therefore the conditions that form the basis for the death of the hikers were not studied. Meanwhile, even from the data of a foreign site, it is clear that on February 1, 1959, Dyatlov's group was in the area of the cyclone. According to the aforementioned studies conducted by the Alpinists of St. Petersburg club with the involvement of specialists, including in the field of meteorology, when analyzing data from Ivdel, Nyaksimvol and Burmatovo meteorological stations located in the places of the tragedy, respectively, 117, 95 and 66 km, in the area on the night of February 1, 1959, the cyclone front (with a duration of at least 10 hours) passed, accompanied by heavy snowfall, wind intensifying to hurricane (20–30 m/s) in the direction from north-west to south-east and a drop in temperature environment to –40° C.
If we take into account the fact that the snowstorm lasted all day on February 1, 1959 and only intensified towards its end, as evidenced by the last photos of the group members (pic 12), the establishment of a camp on the mountainside was a fatal mistake, and the tragedy was inevitable. Considering the direction of the wind, on that day the bulk of the snow accumulated on the less-blown south-eastern slope of the mountain, where the tent was installed. It seems that the situation unfolded as follows. After an unsuccessful attempt to cross the pass on January 31, 1959 (later it will be called the Dyatlov Pass) and descend to the valley of the 4th tributary of the Lozva river on February 1, 1959 Dyatlov made a decision to go around 880 on the left along the slope of height 1096 (now Mount Kholat Syakhl), and then descend to the named tributary. they stumbled upon stone crests and without having detailed maps, did not dare to continue down the path. Apparently, Dyatlov made a decision to wait out the bad weather by setting up a tent on the slope, “buried” in the snow, as evidenced by the recent photographs of the participants of the march themselves (pic 9-10). From the materials of the criminal case, it follows that many local hikers considered such a decision to be correct, referring to their own and others' experience. However, they were simply lucky or at their time were not chosen to be avalanche-prone places on the mountain slopes. It seems that the further course of events developed according to the following scenario. Assuming a cold night, the group members had a dry dinner and lay down (tried to lie down) covered themselves with blankets, removing only their shoes and jackets. Perhaps two of them put on valenki for the night. The whole group was located across the tent with their feet to the mountain and heads towards the forest. The snowstorm continued and after a while the mass of snow on the slope became critical. The avalanche came down in the form of a slab, weighing at least several tons. If the avalanche managed to pick up speed, the group members would most likely not be able to get out of the tent. Initially, the sliding mass of snow was held back for a short time by the tension of the sinking tent. The first obvious signs of an avalanche at night in the dark most likely caused panic. The rapidly increasing pressure of the snow did not make it possible not only to take outerwear, but also to leave the tent in an organized manner. Apparently this process took a few seconds. The last of those who left the tent were already breaking through the ever increasing mass of snow, which forced the hikers to instinctively rush down the slope in the direction of the intended forest. This was facilitated by the continuing storm and hurricane wind in the same direction (i.e. blowing in their backs - ed. note). Major surface damage (surface wounds and abrasions), subsequently found on almost all bodies, could have been received by hikers both while leaving the tent and when overcoming the stone ridge between the slope and the first trees. Within a few minutes, the start of the downward movement of the group members, taking into account the continuing storm and gale, could not detect the exact location of the tent buried under the snow, and given the high density of snow and the absence of any aids (ice axes, axes, shovels) in such a cold and dig it out. The only opportunity to try to survive in those conditions for them was an attempt to descend into the forest as quickly as possible, create shelter and provide a warm night before the weather improves. However, in severe frost, hurricane winds, and the difficulty of moving through deep snow and a stone ridge, it was almost physically impossible to reach the forest (more than 1.5 km from the tent) fast enough. As follows from the materials of the criminal case, members of the Dyatlov group could accomplish this. According to many experts, including the St. Petersburg Mountaineers Club, the survival rate in such conditions and in such a state of their clothing is limited to 2-3 hours. Despite attempts to light a fire under the single cedar tree, the first, most likely, frozen were the worst dressed Y.N. Doroshenko and Y.G. Krivonischenko. Erroneous but desperate and courageous attempts by I.A. Dyatlova, Z.A. Kolmogorova and R.V. Slobodin to break through the headwind wind to the tent led to death. Not better by much were the chances of survival of L.A. Dubinina, A.S. Kolevatov, A.A. Zolotaryov and N.V. Thibeaux-Brignolle. Most likely, they tried, using parts of the clothes of the already dead Y.N. Doroshenko and Y.G. Krivonischenko to go even lower along the slope to the 4th tributary of Lozva and there, digging in the snow, to setup a shelter. However, a reckless choice of location also led them to death. The practice has a significant amount of deaths of climbers and hikers as a result of falling into the hollows hidden under the snow. From the studies of P.P. Zaharov, an honored master of sports in mountaineering, it follows that the direct causes of death when falling into avalanches can be injuries from blows of foreign objects in the avalanche mass, blows of a person in an avalanche on the ground and ridges of rocks, bones, damage to internal organs, deep cooling (freezing), exhaustion, shock and, most often, suffocation (i.e, mechanical asphyxia). Of particular danger is the collapse of the snow-ice cornice and hidden snow bridges and grottoes, with a fall in the snow-covered crevices and cracks in glaciers and narrow rock falls, especially followed by the collapse of snow-ice masses from above. In mountaineering, the overcoming of such areas is allowed with the observance of the maximum safety and by being tied with a rope to each other. Most likely, L.A. Dubinina, A.S. Kolevatov, A.A. Zolotaryov and N.V. Thibeaux-Brignolle tried to settle in a slide not far from the aforementioned single cedar tree, not suspecting that they were above the grotto formed (washed) at the source by the tributary under the snow. 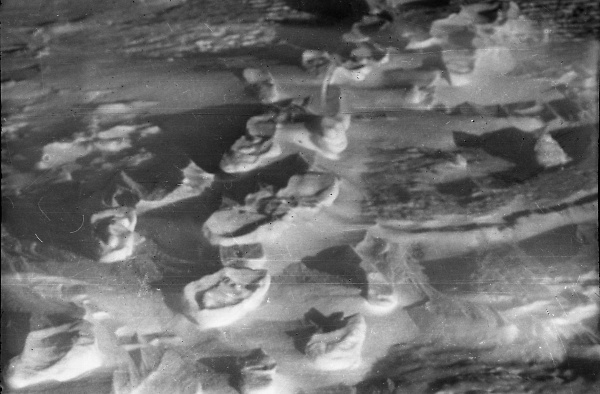 Apparently, the snow and ice bridge collapsed under their weight, and they were covered with a collapsed layer of frozen snow into a hole not less than 5 m deep, which resulted in serious injuries of L.A. Dubinina, A.A. Zolotaryov and N.V. Thibeaux-Brignolle. Most likely, the death of all four in combination with injuries of the internal organs in three of them could occur both from freezing and from mechanical asphyxiation under the layer of snow falling on top of them. However, this does not exclude the fact that part of the injuries they received in the process of leaving the tent and overcome the stone ridge. of Dyatlov hikers group, carrying out this work is possible without resuming the investigation - as part of an additional but official preliminary inquiry.